A small group of classic motorcycle enthusiasts didn’t know they were making history when they planned to hold the inaugural New Zealand Classic Festival in February 1980. The aims were simple, explains Hugh Anderson, one of the founders of the New Zealand Classic Motorcycle Racing Register. The first meeting of the Register the previous June attracted 19 people who contributed to a total working fund of just NZ$79. 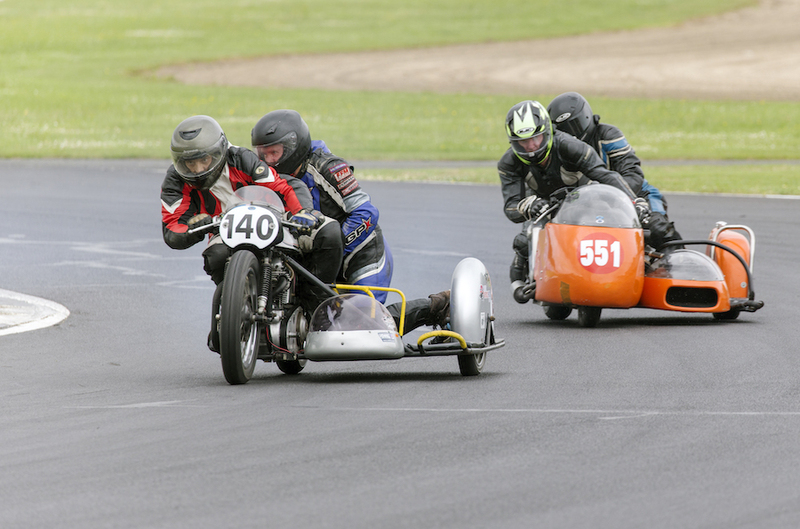 That November the UK Classic Motorcycle Racing Club held its inaugural meeting, with 400 attending to launch Europe’s first season of vintage racing. 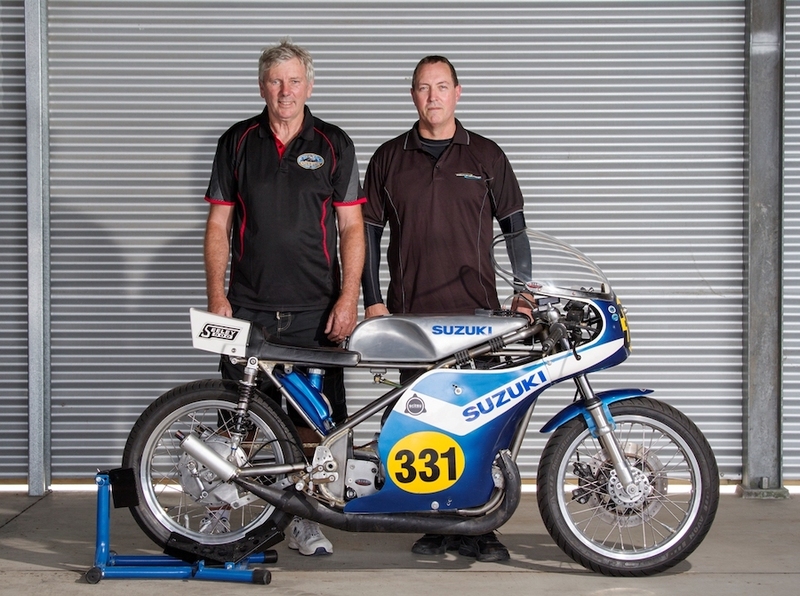 So the Kiwis can lay claim to being the pioneers of what is now a worldwide movement that presents vintage motorcycle racing in a festival atmosphere. 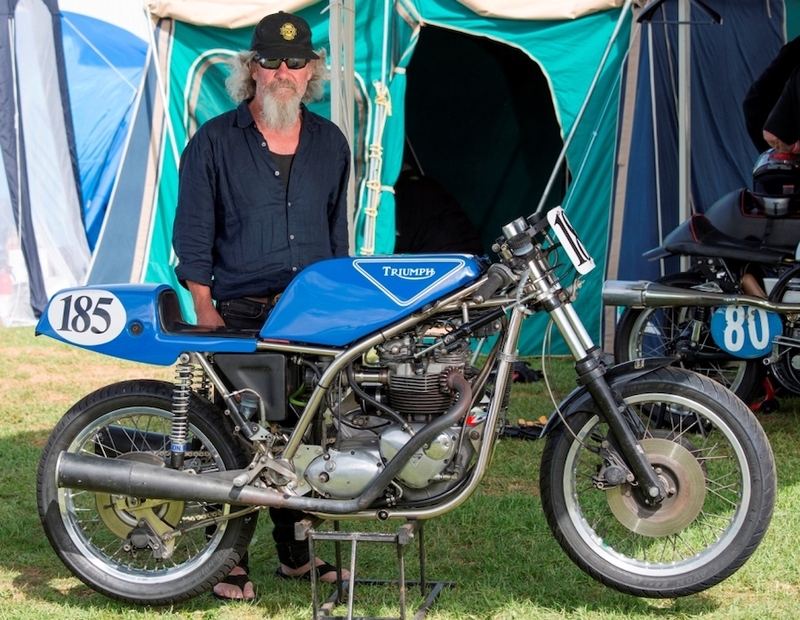 The first festival was an unexpected success, with more than 90 racing motorcycles and 150 rally participants watched by the biggest crowd ever to attend a club meeting in NZ. When the Register held its first annual general meeting the following June it revealed a cash balance of over NZ$6000. Talk about a canny investment of 79 bucks! 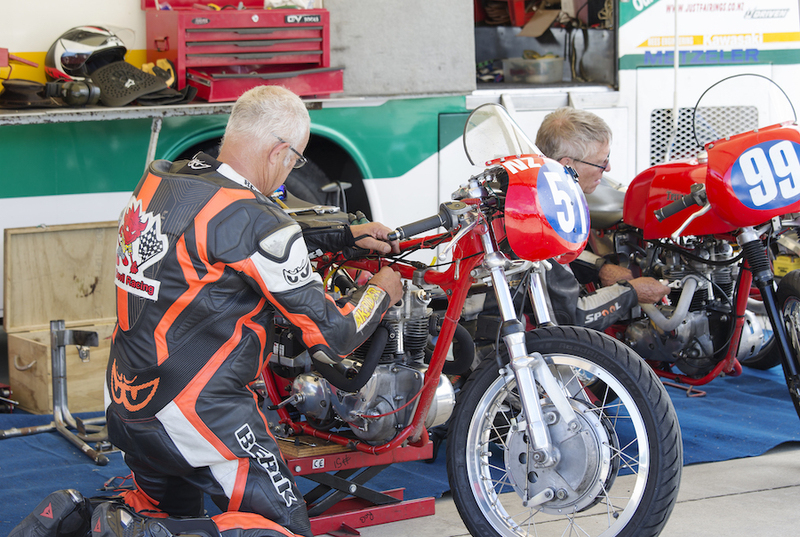 The Register quickly reinvested those thousands into making the festival, held each year at Pukekohe Raceway near Auckland, a must-see for motorcycle fans. A big part of this was bringing out famous international guests. The first was Geoff Duke, winner of six world GP championships and multiple Isle of Man TT races in the 1950s. He was the Marc Marquez of his time, one of GP’s first global superstars racing for Norton and Gilera. Duke was followed by a galaxy of greats and equally legendary motorcycles. Among them was John Surtees, who had raced an F1 car at Pukekohe in the New Zealand Grand Prix of the early 1960s. Other famous visitors included Giacomo Agostini with a fleet of MV Agustas, Italian racer and collector Gianni Perrone, Paul Smart and his Imola 200-winning Ducati, the Barber Museum which actually raced an MV Agusta, Brian Crighton and the Steve Hislop TT-winning rotary Norton, and Steve Wynne and the famous Hailwood TT-winning Ducati. 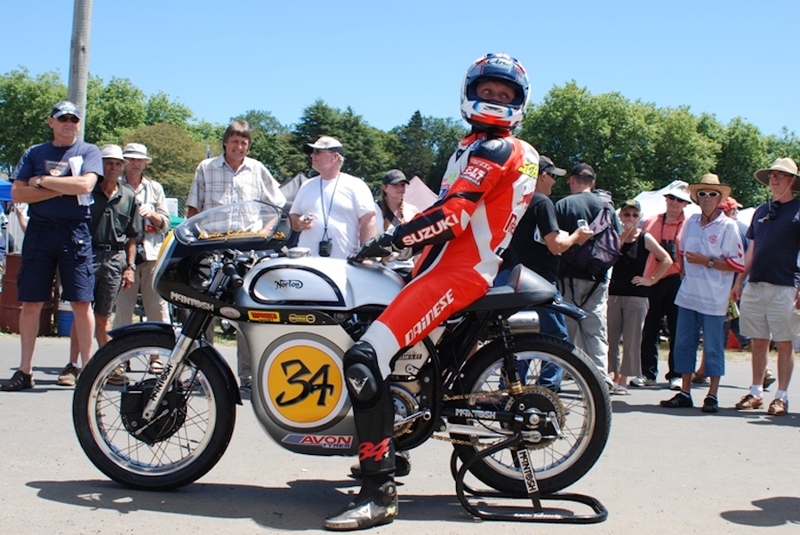 Kevin Schwantz, 1993 world 500cc GP champion, brought a new focus to the festival in 2009 when he raced Ken McIntosh’s Manx to several close wins against NZ’s top classic racer of the time, Dave Cole. 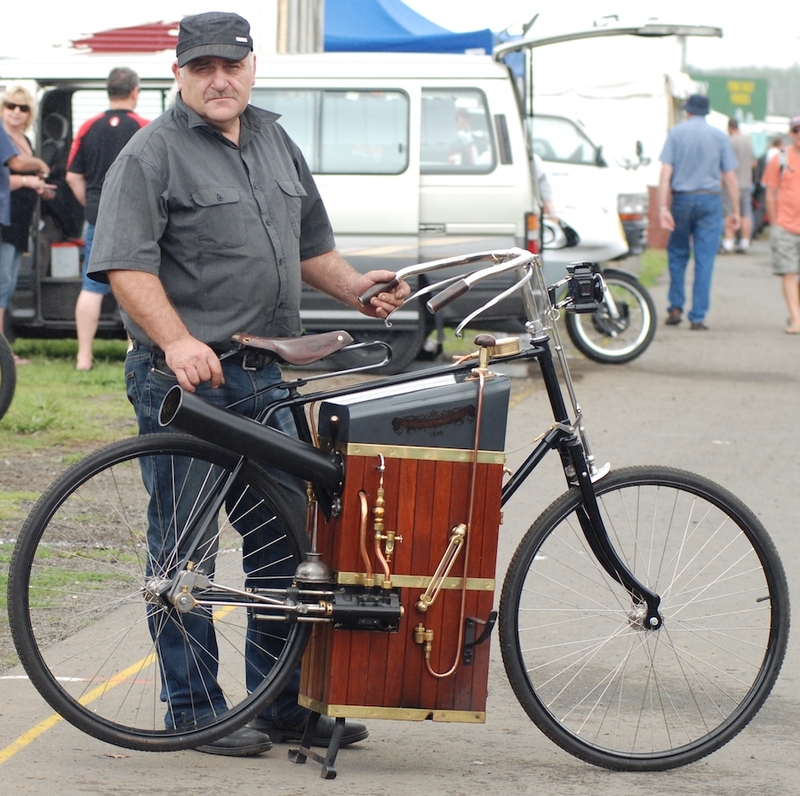 Among the less-heralded but equally interesting machinery have been Nigel Webster and his running replica of an 1895 Roper stream bicycle and Peter Thompson riding his rare and original World War I Militaire motorcycle with timber wheels. 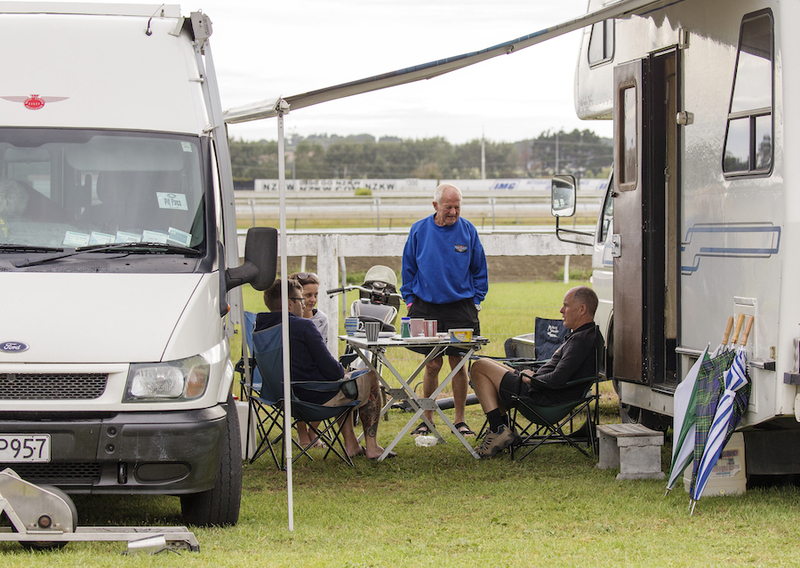 With a huge pit area that allows competitors to camp in vans and tents while working on their bikes, the annual NZ Classic Festival offers a treasure trove of little scenarios like this being played out across the first weekend of every February. This year it runs over 2-3 February and includes a roll call of previous participants and their machinery, both on show and racing. A recent convert to classic racing, Melissa Tate finished second in her class in a five-round championship in 2017. 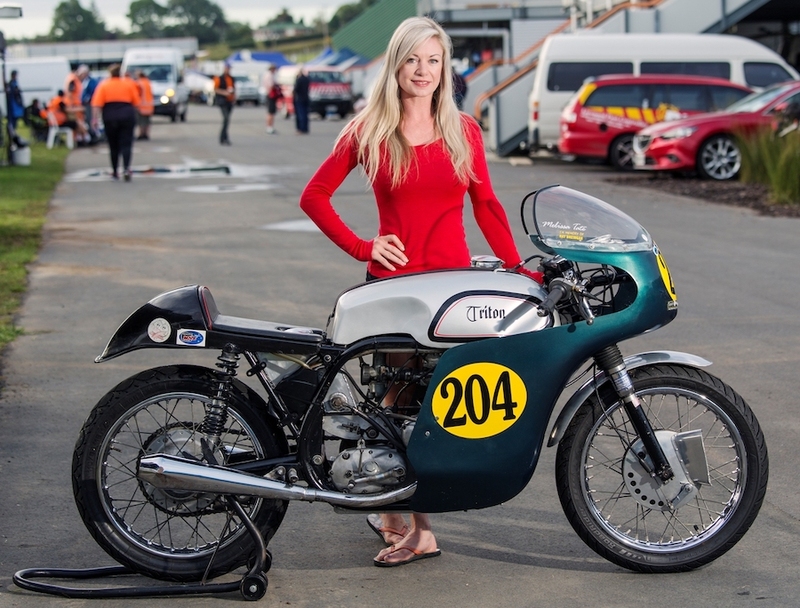 The daughter of long-time Manx Norton and Dominator twin racer Colin, Melissa grew up around racetracks. “After riding a Dominator in Regularity events I put the word out that I wanted to go racing,” she said. “Mike Sharp offered me a Ray Breingan-built Lowboy frame with alloy Triumph engine.” It was one of the first bikes Mike raced back in the 1980s. “My dad and Mike have been friends for decades,” said Melissa. However, the first outing didn’t end well. “After dad telling me to be smooth I managed to crash it in my first race and I twisted the fork,” she said. 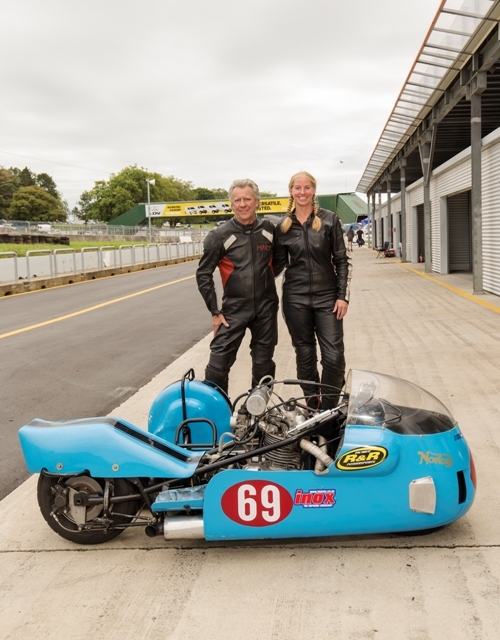 Since then Melissa has raced it all around New Zealand, including the street races at the Burt Munro Challenge. “I do get racked with nerves before a race but I find the bike very low and light and it’s really easy to corner,” she said. The late, great Robert Holden teamed up with Ian Rowell in the early 1990s to create a little Daytona legend when he won the big vintage race by a lap on this Rob North triple. After Robert’s death at the Isle of Man TT in 1996 the bike was bought by his NZ sponsor, Dallas Rankine. 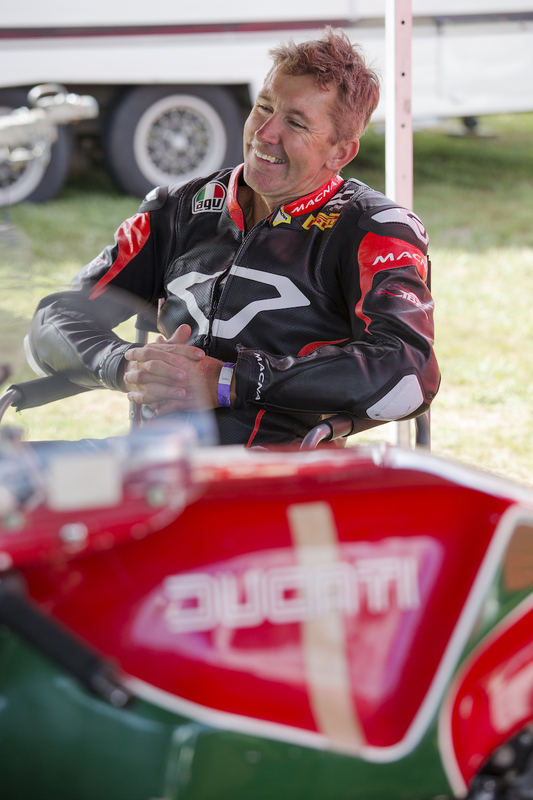 He teamed up with Ducati importer Don O’Connor to race both the triple and a Supermono at Daytona with Don’s son Rodney on board. Rodney finished second, third and fourth in his races and this Trident is exactly as last raced. “We’ve brought it out for a bit of fun this weekend and apart from new tyres and a checkover it’s as it was all those years ago,” said Rodney. The 750cc engine has a lightweight crank and enough special internals to produce 90hp (67kW) at the rear wheel. “The exhaust system is welded up longitudinally and is tapered, which gives another six horsepower,” said Don, hinting at just how special this timepiece of vintage racing is. 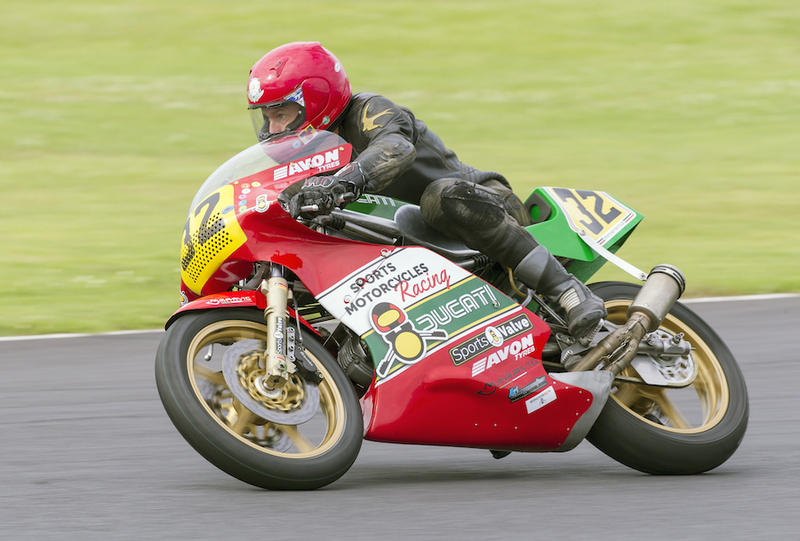 A glance around any Kiwi vintage racing event sees two names prominently displayed on several British race bikes. Frame builder Ray Breingan and engine whisperer Dave Crone have both died in recent years but their efforts live on in beautiful engineering efforts like Johnny Stevens’ Bonneville. “The engine has been ‘Cronised’,” said Johnny referring to the extensive headwork that sees super-long inlets linked to modified combustion chambers. 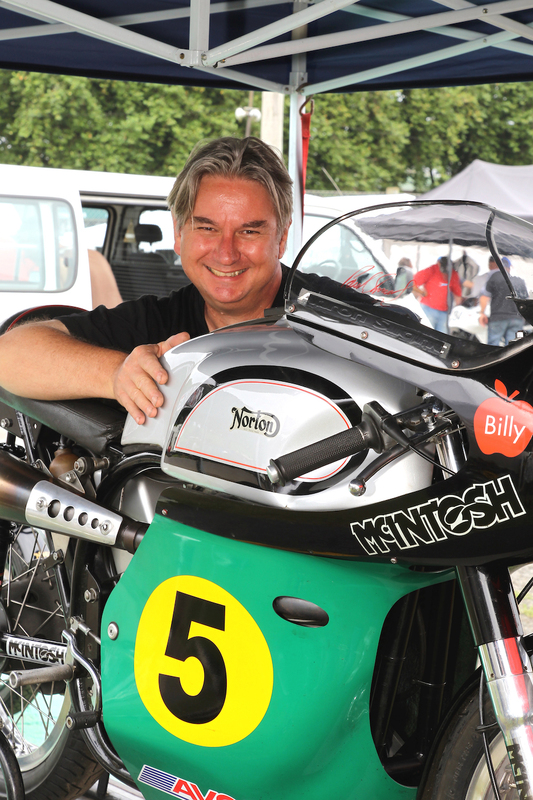 Nourish supplied the billet crankshaft and close-ratio gearbox while the belt-drive and clutch is from Tony Hayward. The Electrex World ignition is self-generating. Johnny’s nickel-plated frame was one of the first of a series of Rob-North-style chassis constructed by Breingan, who once worked for UK supertuner of the 1960s Syd Mullarney. The Paoli front fork is off a Harris Bonneville and rear shocks Hagon. Breingan also built more than a dozen Lowboy-replica Norton frames, a Drainpipe Commando and helped many riders with chassis development. “It left a big hole in our lives when we lost these two guys to terminal illness,” said Johnny. A few years ago the festival changed its rules to allow Japanese motorcycles in. The result is some beautiful machinery, such as this Seeley Suzi built by Bernie Kerr and ridden by Peter Smith. Bernie built it from scratch using a T500 road engine and a Roger Titchmarsh frame originally designed for a Matchless G50 single. Parts, such as the wheels and brakes, were sourced from Suzuki’s GT water-cooled models. The engine was treated to TR500 porting, giving around 65hp (48kW), and the 130kg missile was heading into Pukekohe’s blind Turn 1 at around 182km/h. “We’re still sorting out the handling,” said Peter, explaining how fitting offset steering head bearing races had brought the front wheel back 20mm for quicker steering.” The heavy roadster crankshaft makes this a fairly torquey engine for a two-stroke. Talk about keeping it in the family. 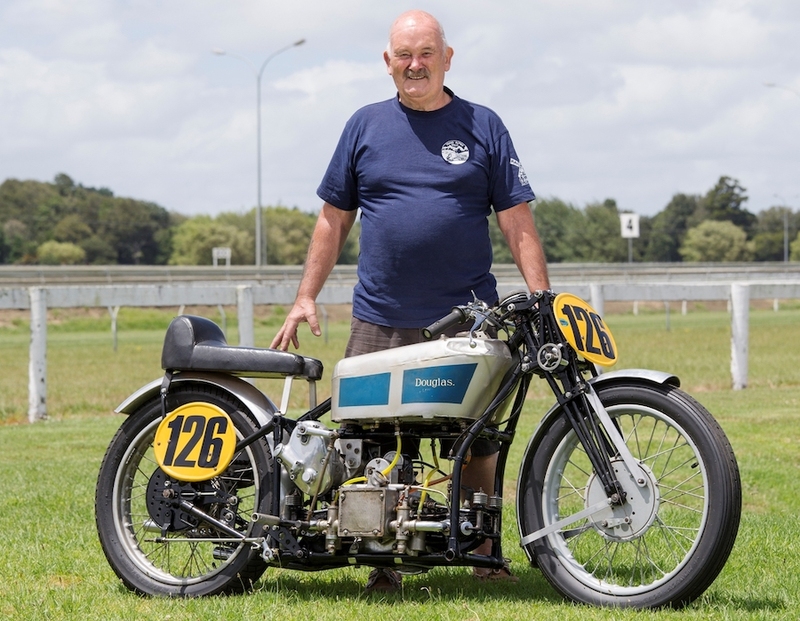 Lindsay Banks grew up watching his father Fred race this Douglas around Wanganui’s Cemetery Circuit street circuit in the 1940s. The bike disappeared in the 1950s and only resurfaced with a sister bike at auction a couple of years ago. “One went to the US and I had to spend a lot more than I wanted to keep dad’s bike in New Zealand,” said Lindsay. 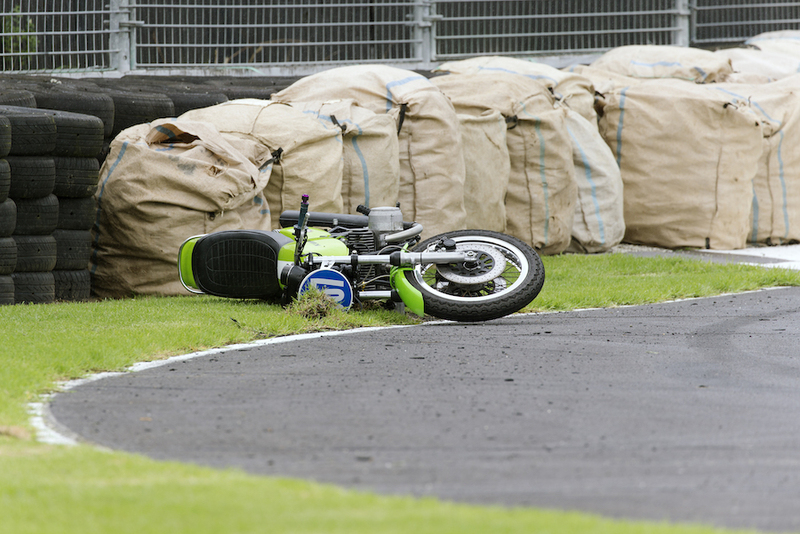 The result is a rolling piece of Kiwi motorcycle history. Wally Kilmister, one of NZ’s early speedway heroes, brought the Douglas flat-twin back home and it was converted from cinder racing to tarmac competition with a 19-inch wheel replacing the original 21-inch and a Norton rear hub providing a cush drive. A Burnam four-speed gearbox and clutch, along with locally-built seat and petrol tank, completed the package. Lindsay struck issues rebuilding the engine as the piston oil control rings are below the gudgeon pins. “Spotts Performance Pistons in California came to the rescue,” he said. 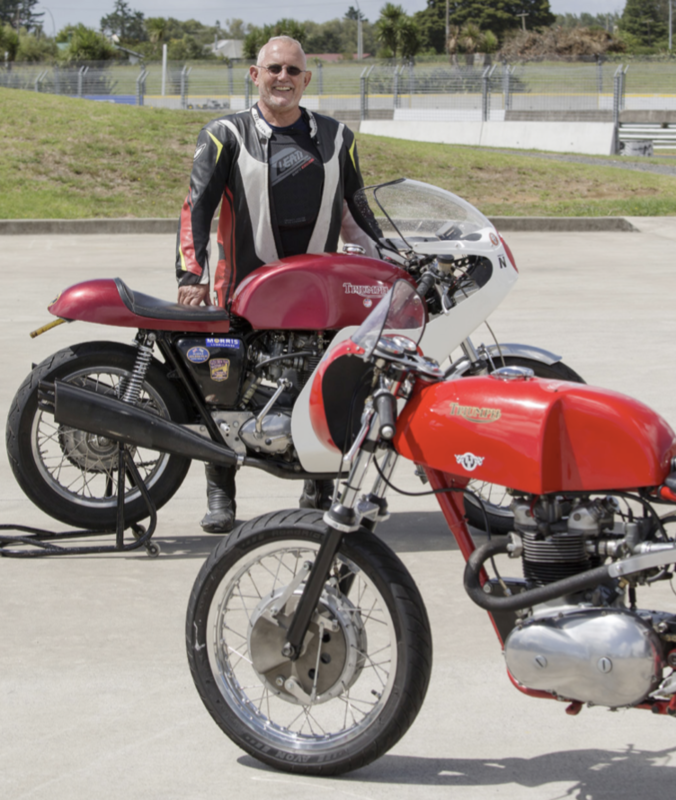 Two bookends of Triumph’s model range were being raced at Pukekohe by Rod Hale. 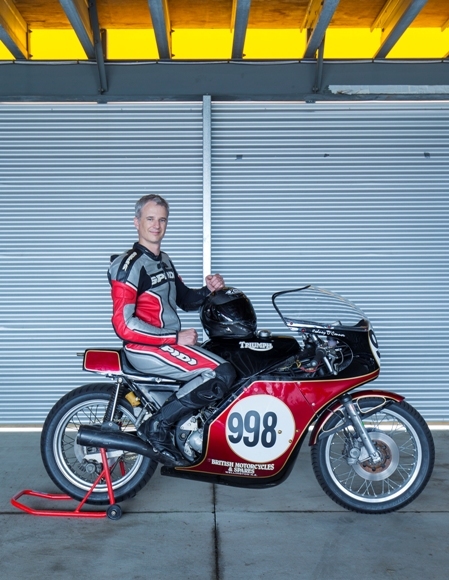 Triumph’s first unit-construction twin is an unlikely racer but over the past 20 years Kiwi Graeme Cole has turned more than a dozen 3TA and Tiger 90 roadbikes into potent trackburners. Rod bought his as an introduction to vintage racing and still has a lot of fun on it, despite upgrading recently to a ‘Slippery Sam’ replica Trident. “Steve Bridge of Hamilton’s F1 Engineering got the handling fully sorted for me and I just love it,” he said. The Trident, a frontrunner in its class in CRMC racing, was imported from the UK. In the 1970s New Zealand had a love affair with British superbikes, such as Norton’s Commando and Triumph and BSA triples. 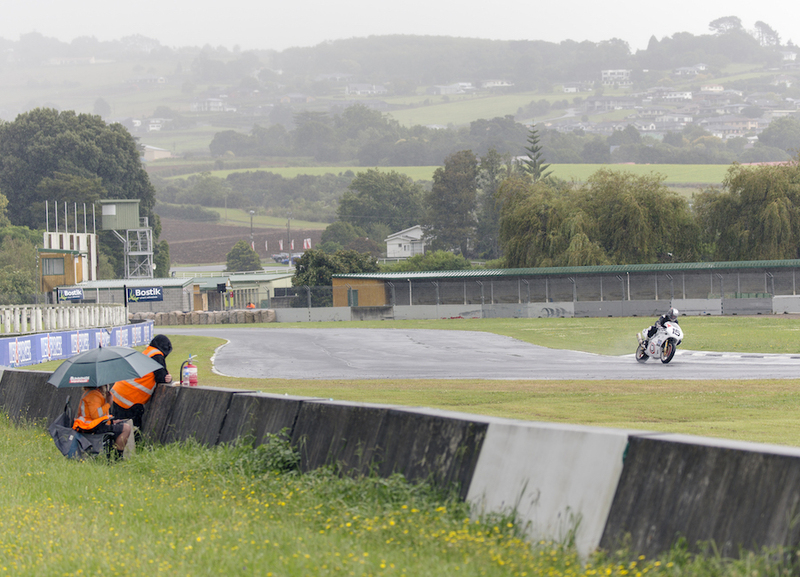 Every time he goes out on track Eddie Kattenberg is reliving the early years of World Superbikes, when New Zealand hosted the final round at Manfield. In 1989 Eddie bought a Suzuki GSX-R750 from his local bike shop and fronted the Manfield finale. ‘The Kat’ qualified 21st and finished 12th and 13th ahead of some big names. A year later he was racing a factory-supported Yamaha OWO1 for Len Willing’s Australian team. Bimota was so committed to winning the first season that its technical director, Dr Frederico Martini, came Down Under to run the team. But Bimota’s YB4 was a dream bike for self-funded racers like the Kat until classic racing expanded to include a Pre-1990 class. Three years ago Eddie bought his YB8, an evolution of the FZR750-powered YB4, from a wrecking yard in Japan. 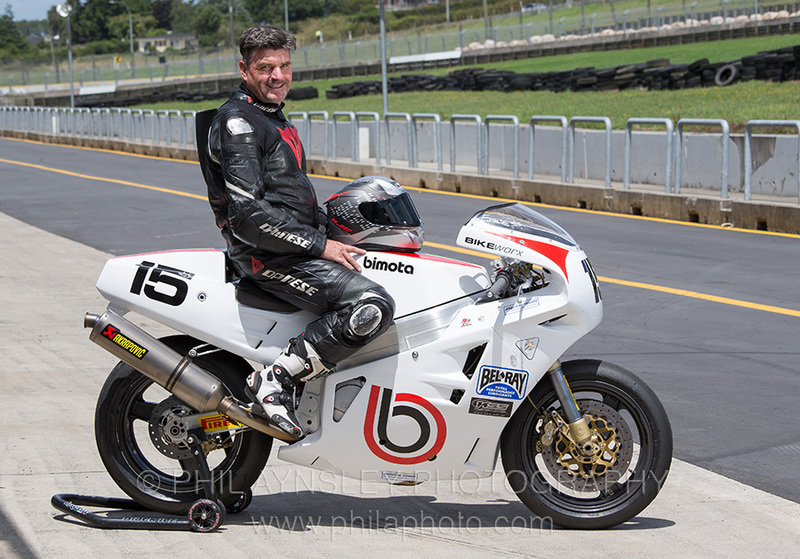 He turned it into a racer and set class lap records at Taupo, Manfield and Ruapuna. “The engine is still a Yamaha FZR1000 but I’ve fitted YZF750 camshafts and a six-speed close-ratio gearbox,” he said. Unlike other vintage racing clubs around the world, which have arbitrary cut-off dates for its classes, the Register has developed a set of rules designed to encourage a spectacle that best sums up each decade. For example, Kawasaki 900 Z1s, Yamaha RD and TZ variant models aren’t allowed in Classic ’70s, which has a cut-off date of 1972 for the Japanese while the non-Japanese have a 1975 year limit. Classes start from Pre-1931 and go up to Pre-1989. Among them are Clubmans, which caters for modified road bikes, Factory Racing, which results in a grid of period Manx Nortons, Matchless G50s and the like, and Modified, for silhouette hotrods. During the racing breaks, Regularity and Track Parade classes fill the track. One of the world’s most unusual motorsport venues, Pukekohe Park Raceway’s 2.9km circuit runs around the outside of a horse racing course. Situated about 40km south-west of Auckland, it was opened in 1963 and gained early fame hosting such international F1 legends as Stirling Moss, Jackie Stewart, Jim Clark and Graham Hill in the annual New Zealand Grand Prix. In the 1970s the big-money Marlboro Series brought in equally famous Grand Prix motorcyclists, such as Marco Lucchinelli, Hideo Kanaya, Pat Hennen, Gregg Hansford and Warren Willing, while launching the international careers of Graeme Crosby and Randy Mamola. 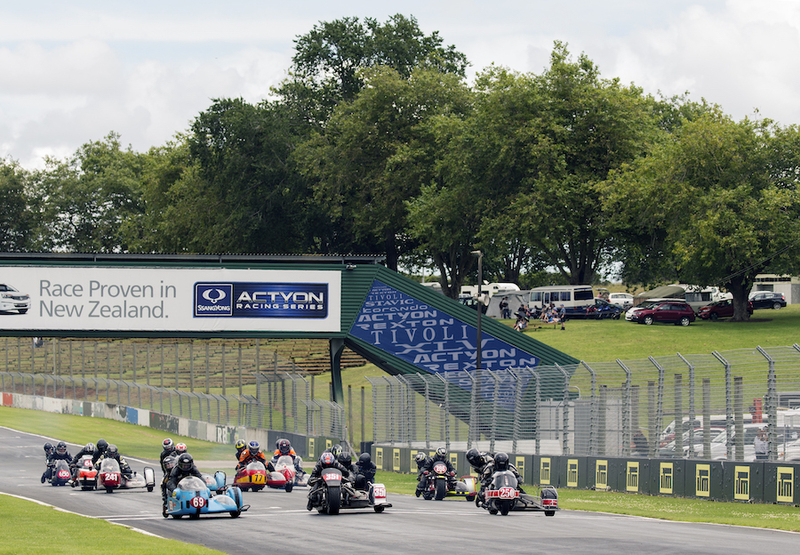 The opening of the nearby Hampton Downs circuit in 2009 took the focus away from Pukekohe Raceway but it retains a round of the Virgin Australia Supercars championship and its excellent camping facilities make it the best venue for the annual classic motorcycle festival.